Pulmonary embolism is a dangerous condition that affects an estimated 800,000 Americans annually and kills about a quarter of them. When a blood clot travels to the lungs it can cause a pulmonary embolism (PE), a dangerous condition that affects an estimated 800,000 Americans annually and kills about a quarter of them, especially if left untreated. That figure far outstrips U.S. fatalities from traffic accidents, HIV and breast cancer combined, and the number is rising, mostly because of an aging population who are more at risk. “Pulmonary embolism is underrecognized, undertreated and undermanaged,” says Kenneth Rosenfield, MD, of Mass General. 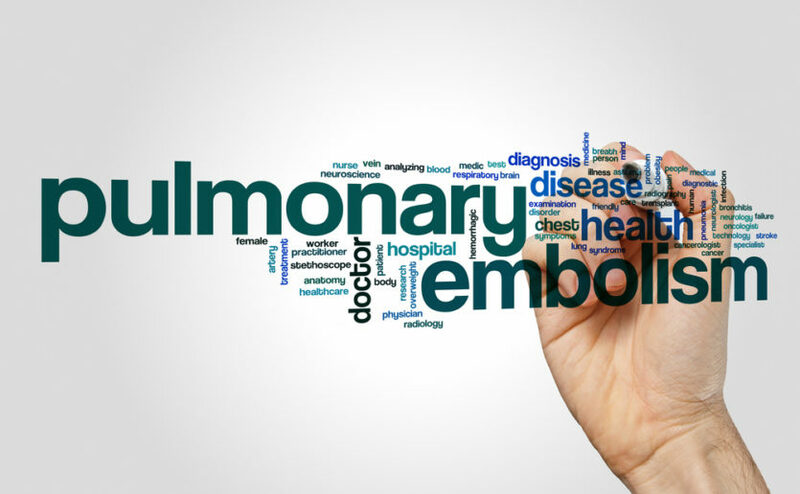 “Pulmonary embolism is underrecognized, undertreated and undermanaged,” says Kenneth Rosenfield, MD, an interventional cardiologist and vascular specialist at Massachusetts General Hospital. Teams at Mass General and around the globe have been looking for ways to more effectively treat PE, and the good news is that some new models show great promise. The not-so-great news is that what works may not be easy to implement, at least in the near future. Treating this condition effectively can require quick, interdisciplinary thinking. A radiologist may be needed to pinpoint the damage, and coming up with a plan for treatment may call for a skilled cardiologist or an expert in vascular or pulmonary medicine — and often a surgeon to remove the blockage. Yet that kind of cooperation doesn’t always come together smoothly. A patient, or a patient’s data, may be shuttled from one place to another as various specialists consider a case, all while the clock is ticking. In 2012, to create a better way to evaluate and treat patients, Dr. Rosenfield and several colleagues at Mass General developed and launched the first pulmonary embolism response team (PERT) program in the United States. With this treatment approach, when an embolism is discovered, an alert immediately goes out to notify a dozen or more specialists, who convene for a virtual meeting to map a treatment plan. Since the introduction of PERT, mortality for Mass General patients with massive pulmonary embolisms fell to less than half the national average. During the past six years, more than 150 other hospitals — not only large academic medical centers and smaller community hospitals, but also international hospitals as far away as China — have also embraced a team approach to treating pulmonary embolisms. More than 80 of those institutions recently combined to launch the PERT Consortium, adopting the acronym that Dr. Rosenfield and his colleagues used to describe their multidisciplinary model of care. So far, there have been only three published reviews of PERT implementations, including the one at Mass General. According to Dr. Giri, some critics have complained that the team approach unnecessarily complicates treatment, involving more specialists than are needed to provide effective care. Moreover, the type of collaboration among specialists that PERT requires is sometimes problematic. All the physicians involved must contribute their own expertise and perspectives while also putting the team’s goals above self-interest. “At some hospitals, egos, territoriality and self-protection do get in the way,” explains Dr. Rosenfield. To learn more about supporting cardiovascular care and research at Mass General, please contact us. This story was first published by Proto Magazine.